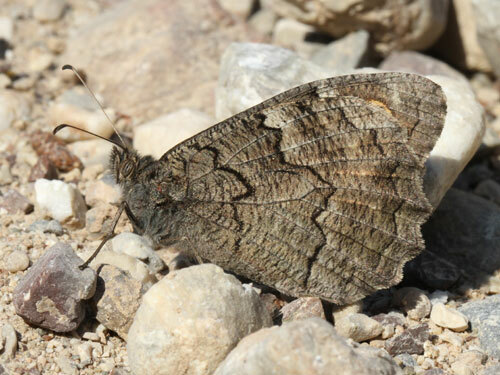 A local species from the southern Balkans. 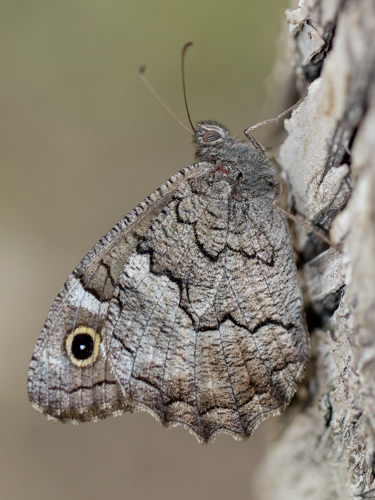 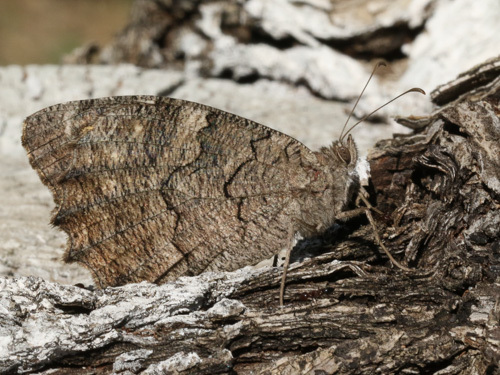 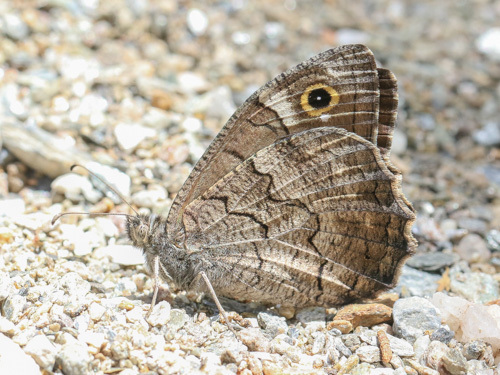 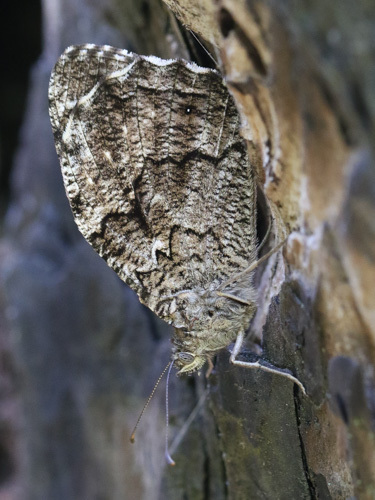 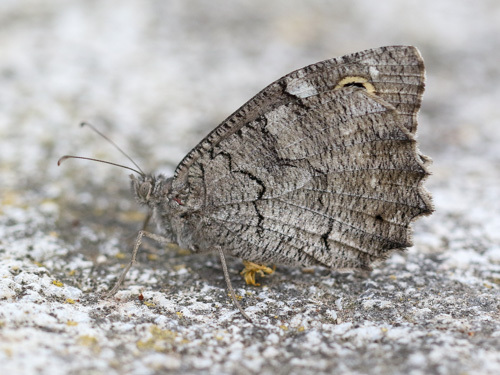 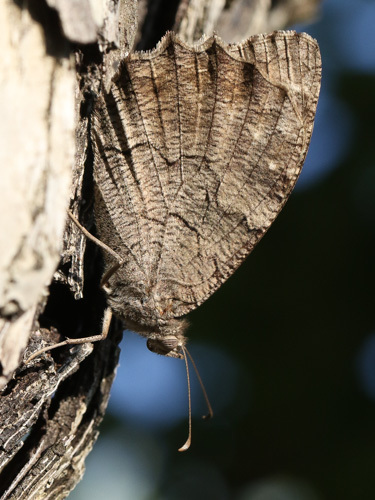 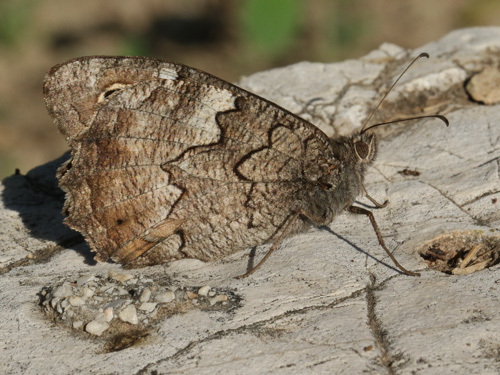 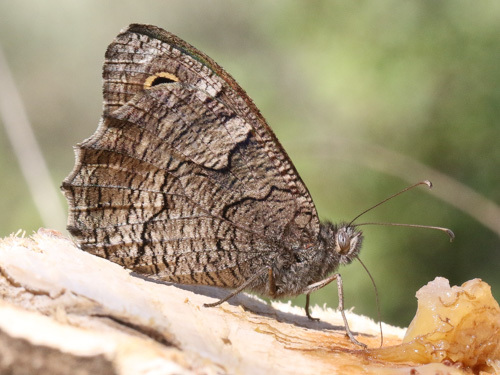 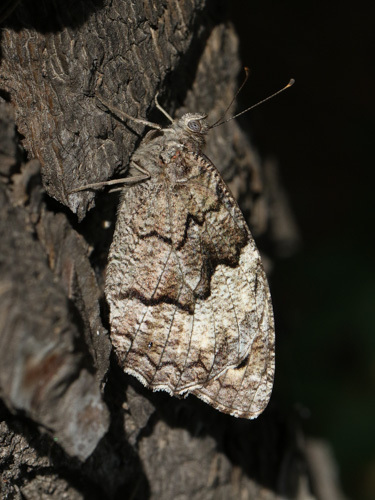 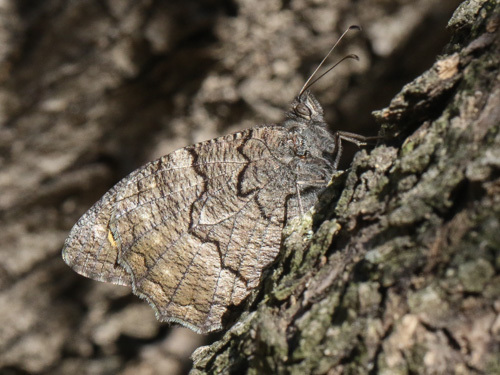 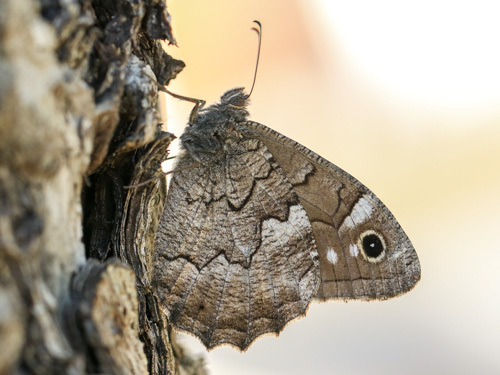 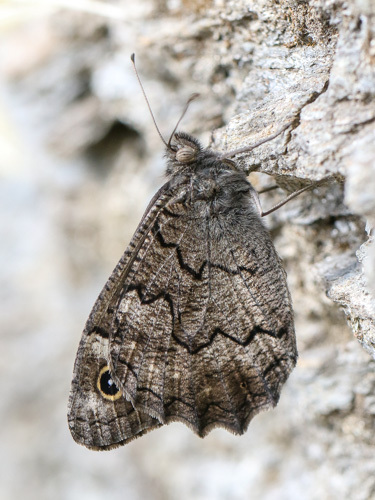 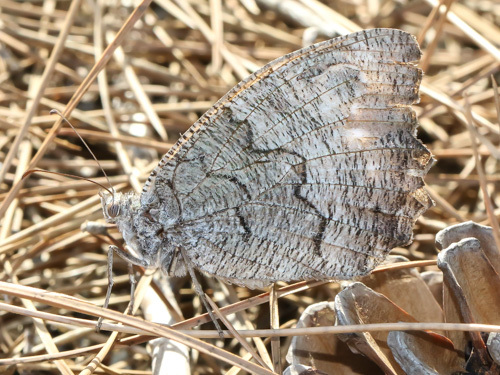 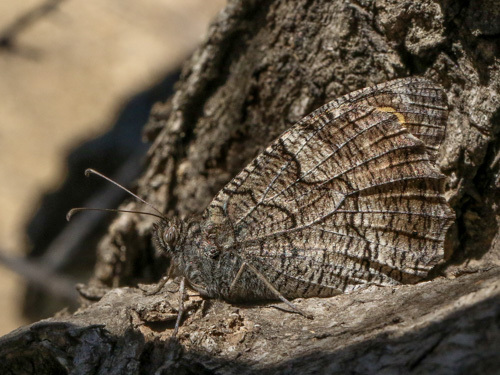 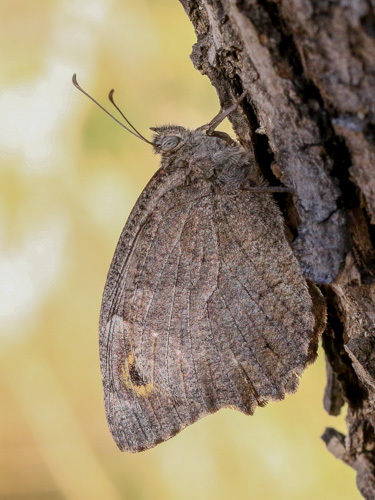 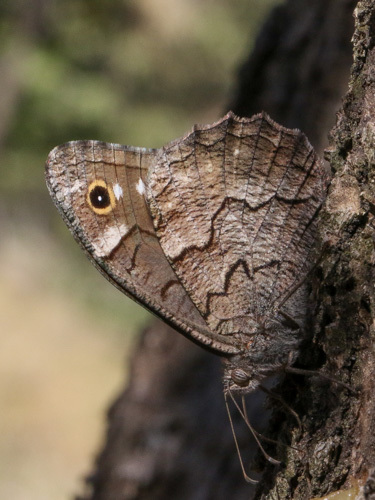 Identification & Similar species: Similar to the tree grayling, H. statilinus. 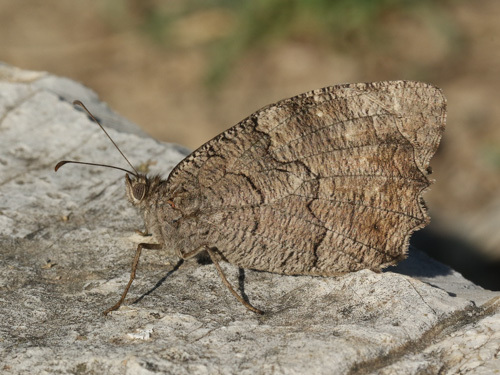 Separated using underside hindwing markings: a more mottled apperance, little hint of white, little contrast either side of the discal line, basal and submarginal lines are strong and complete running most of the way across the wing. 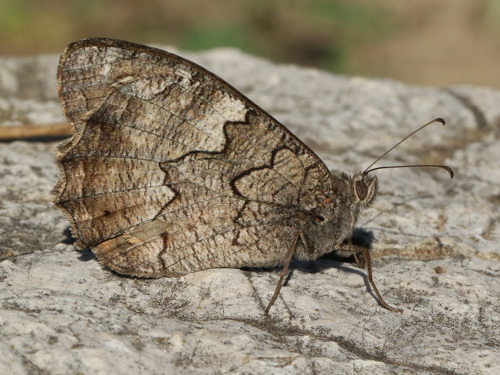 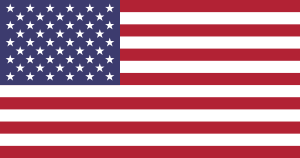 There is fine marginal line in the current species. 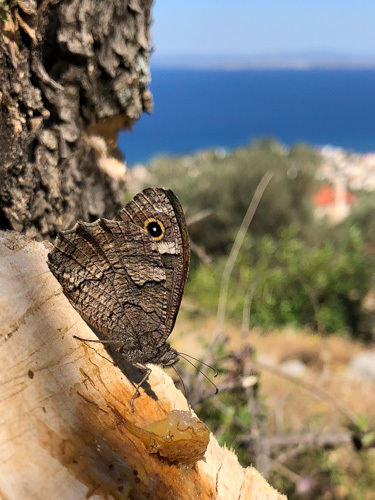 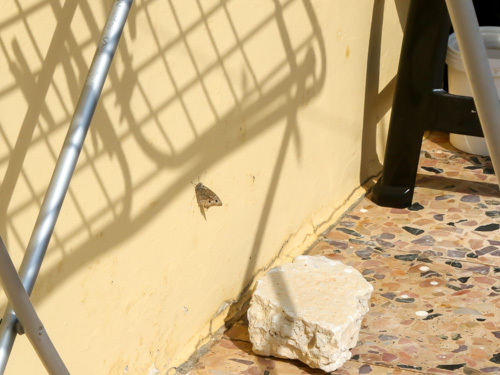 Distribution & Flight: Southern Balkans, from June to September. 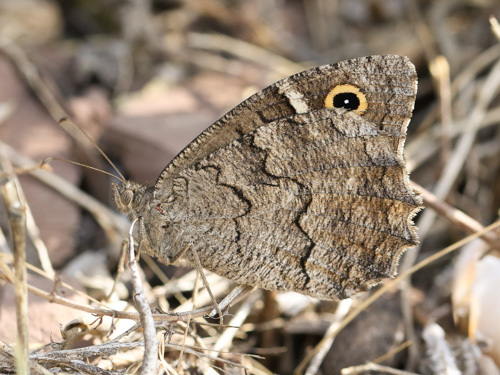 Habitat & Behaviour: Hot dry grassy, stony slopes often amongst bushes and woodland. 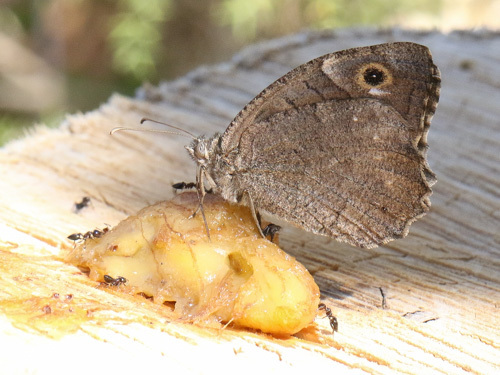 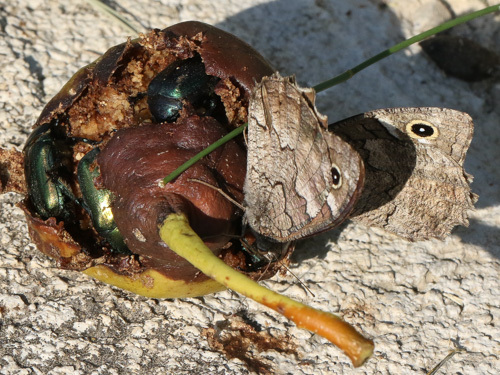 Adults take juices from rotting fruit. 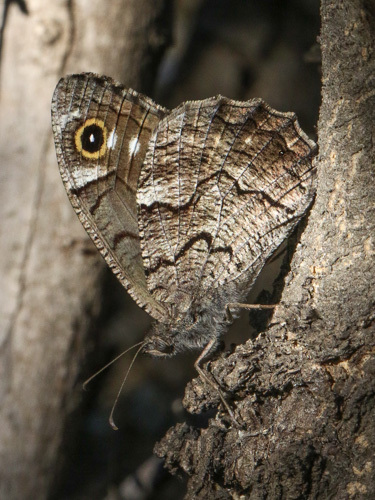 Typical resting places on tree trunks. 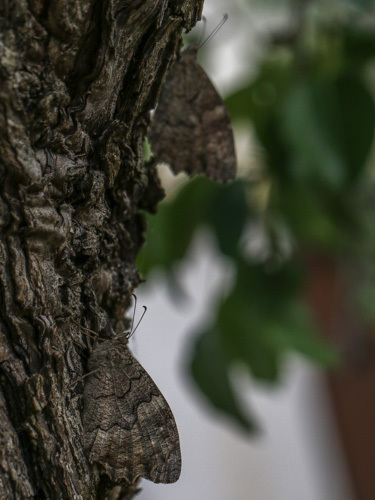 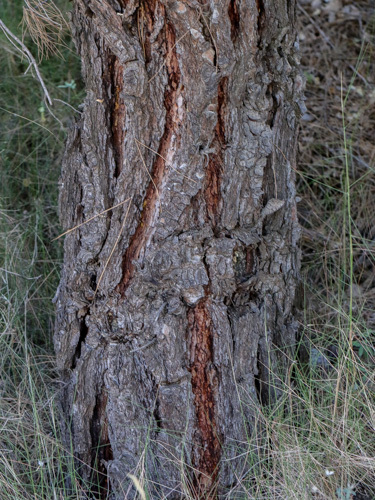 There's one butterfly on the bark.